When the holidays roll around, there might be more time for relaxing, but mostly it just feels like more time to stress. A lot of people travel this time of year, and whether you’re visiting or hosting, there’s usually a lot of food prep involved. If you’re wondering how you’re going to feed a crowd on a tight budget, consider making homemade versions of items you might normally buy. For example, instead of buying chicken parts, consider purchasing a whole roasting chicken instead. Buying the chicken whole is a huge money-saver, in exchange for just a little bit of your time. You can break down the chicken and freeze the pieces individually, or roast the chicken on a Sunday night and use the leftover meat throughout the week! 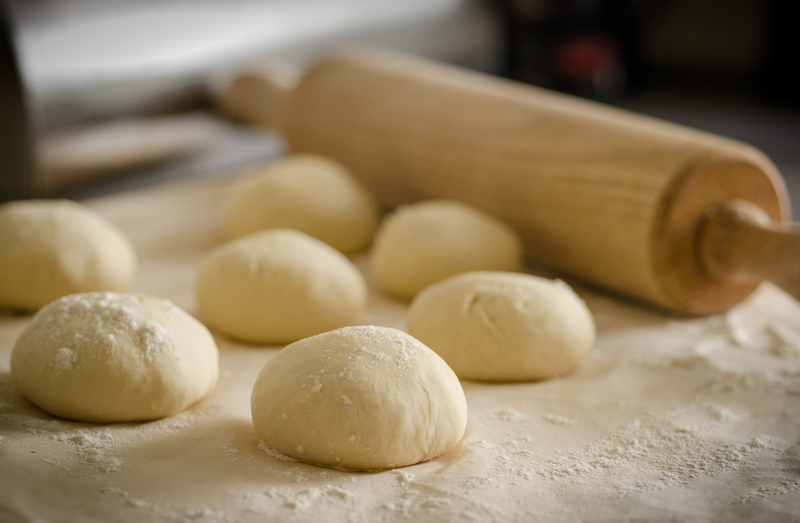 Another money (and time saver) is to make a large batch of dough and then use it throughout the week in many different applications! Below is a recipe for a baking mix that can be used in biscuits, pancakes, pizza, and more. A little bit of planning ahead can go a long way during the holiday season, to save you both time, and money! In a large mixing bowl, stir all ingredients until well mixed. Store in a closed, covered can or rigid plastic container, or sealed heavy plastic bag. Label and date the container. Use within 6 months. Stir lightly before use in recipes. This baking mix can be used in several USDA recipes! For more nutrition information visit the USDA Mixing Bowl.